Wish I could find one of these horizontal sheaths. Only just saw this reply, sorry. I can think of one reason why they were discontinued relatively soon after introduction of the tools - there is no separate belt loop and your belt just passes through two vertical slits in the outer layer of leather at the back, which is not excessively thick. The tools are then just separated from the belt by an inner liner. Whilst the belt slits are rounded off, I can imagine that any undue effort will simply let the belt cut into the leather and damage it, with possible loss of the tool as an extreme result. This applies in particular to the version with the added bit set, which sits just inside (towards the belt) from the tool proper and almost doubles total bulk. I tend to avoid carrying the sheaths on my belt too often, for that reason amongst others. However, they do very occasionally pop up. 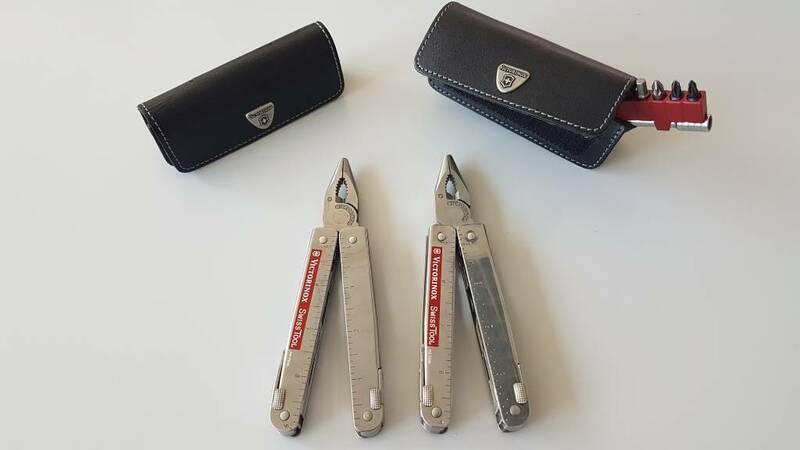 One, with tool, is here: https://www.ebay.de/itm/Victorinox-Multitool-Swisstool-mit-Bits-und-Tasche-gebraucht/123160774907?hash=item1cacf448fb:g:z-sAAOSw48dbDOms (dispatch in Germany only; I have no association with this seller whatsoever).